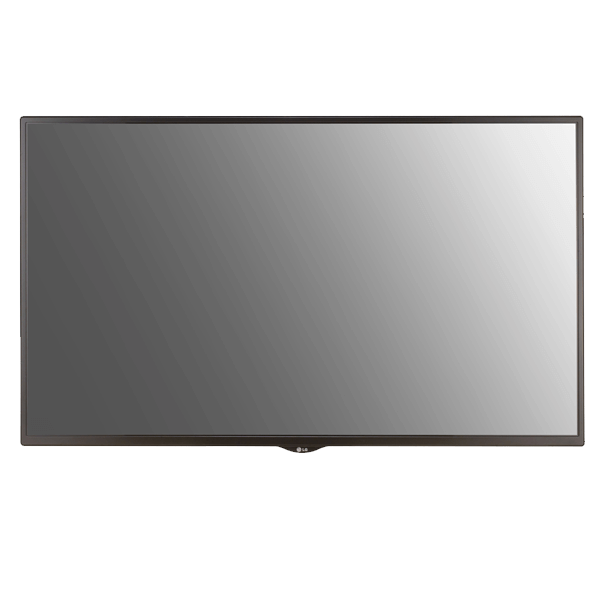 LG 32SM5KD 32″ LG Commercial Grade Display with WebOS for Signage. 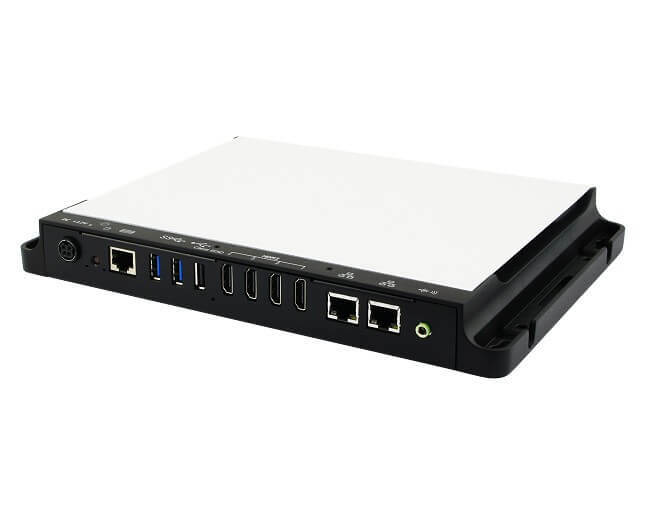 System on Chip media player built in, WiFi / Ethernet, Full HD 1920×1080 resolution, 24/7 operation, 400cd/m2 brightness, multiple inputs plus bonus features including mirroring, SoftAP and Beacons. 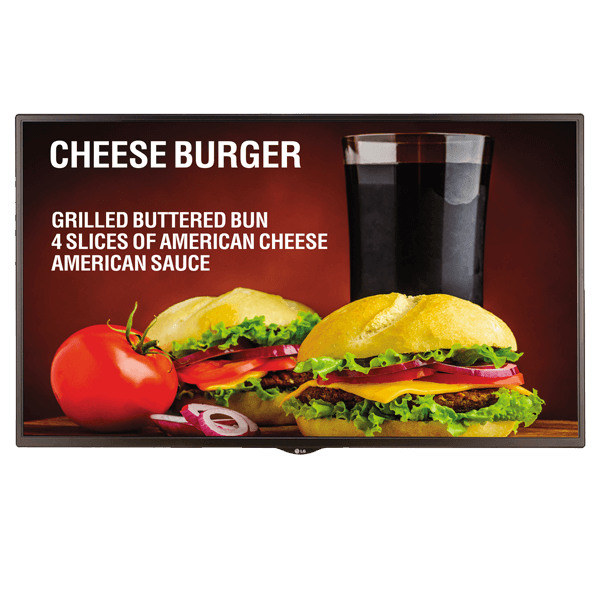 Pair with optional digital signage software and wall bracket for a full digital signage solution. 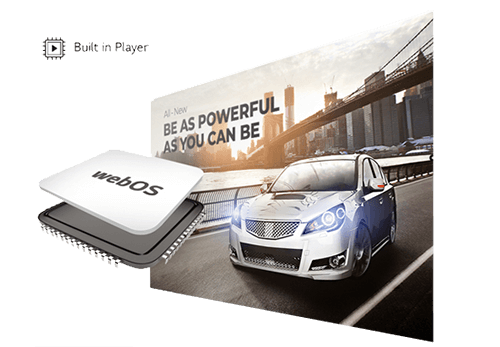 The SMSKD Series, WebOS for Signage, offers a simple and extremely effective digital signage solution. 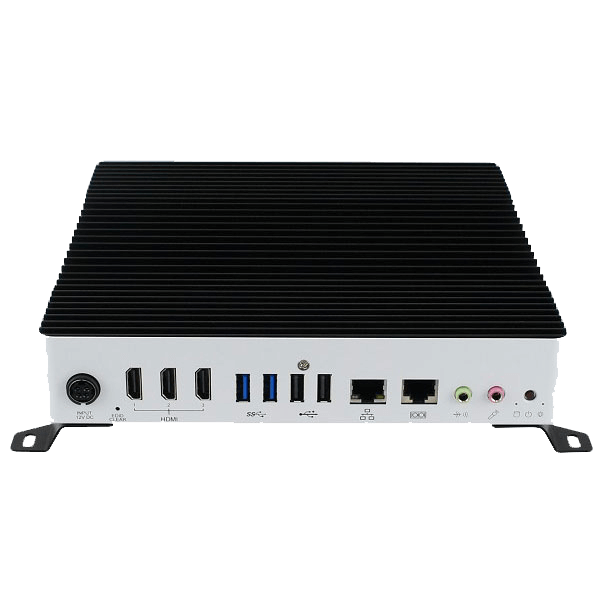 With built-in Wi-Fi and reliable System on Chip media player, the total cost of ownership is reduced and installation simplified. 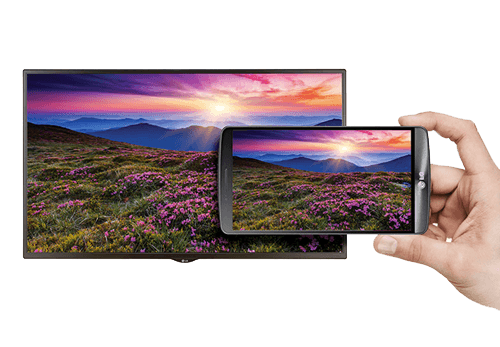 The high-performance quad-core System on Chip (SoC) can execute several tasks at the same time and provides smooth content playback without an external media player. 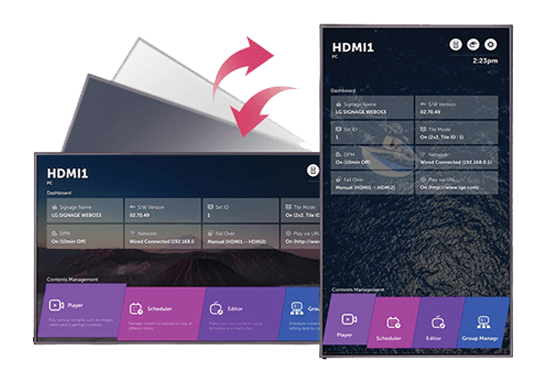 Simply get the device online (WiFi / Ethernet) and configure the display to run signage software to begin pushing content directly to the display. 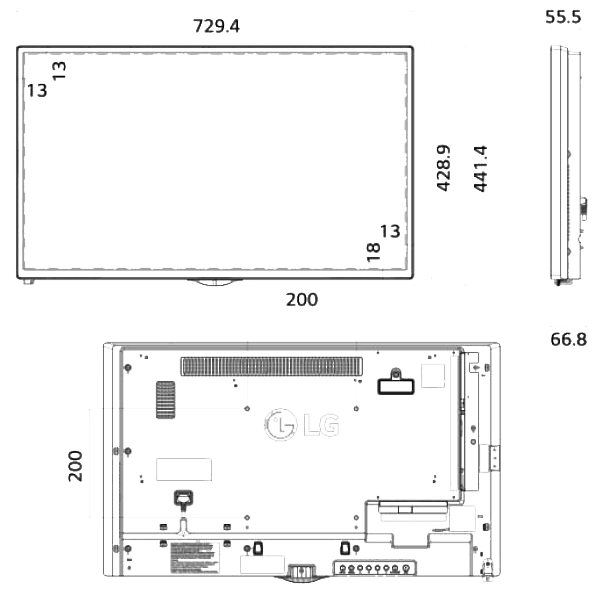 Run content in both landscape or portrait orientation and flip the GUI of the device to match for easier screen control. 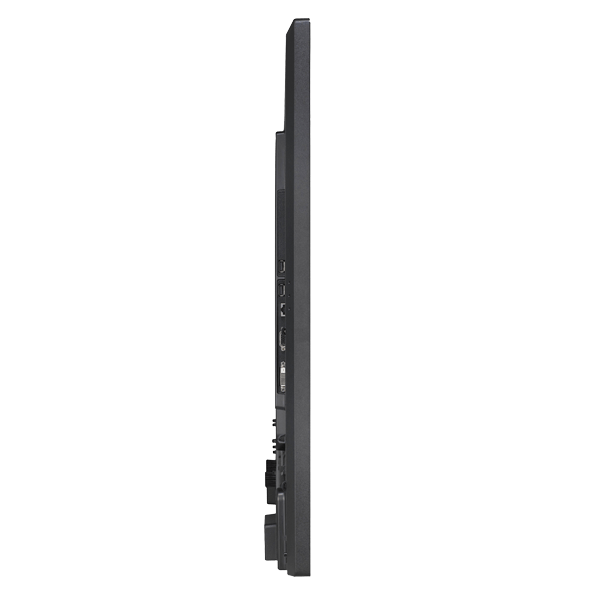 The circuit board reliability is enhanced with conformal coating that protects against dust, iron powder, humidity and other harsh conditions to help prolong the lifespan of the display. 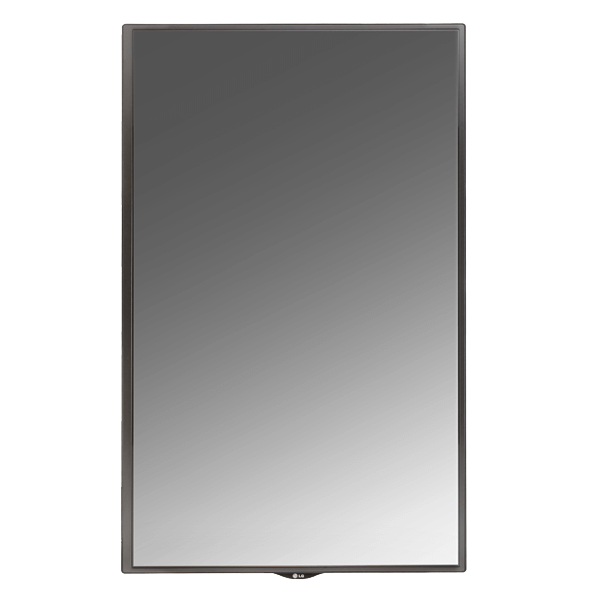 The detachable logo allows for installation in the desired orientation: landscape or portrait mode without disturbing the aesthetics. With BEACON and Bluetooth Low Energy (BLE) supported by SMSKD (iBeacon and Eddystone), businesses can offer an integrated solution by provide coupons or information in real time from the SM5KD. 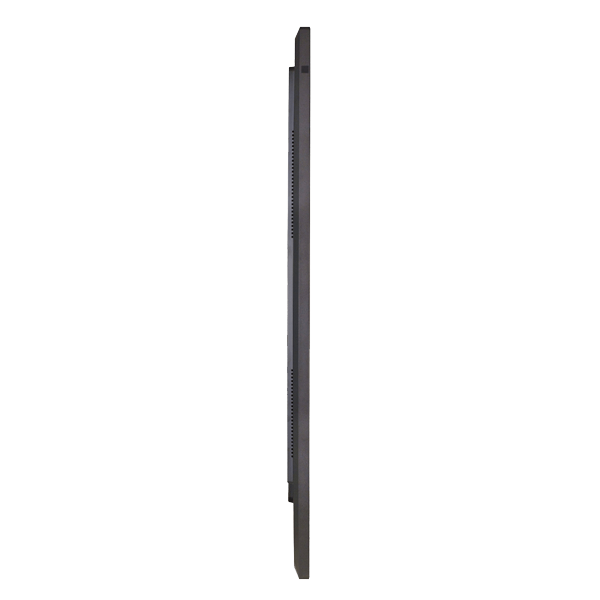 The SM5KD with SoftAP software can operate as a wireless access point for mobile devices. 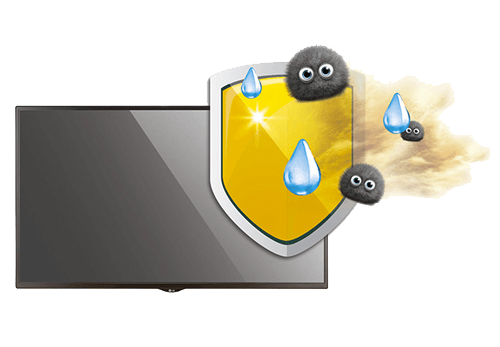 If you set up a SoftAP, you can connect many devices via a Wi-Fi connection without a wireless router and use wireless internet. Content sharing is more convenient on a Wi-Fi network. 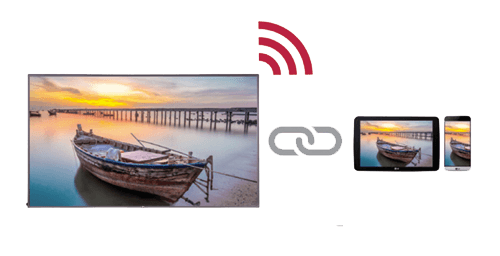 This feature allows the screen of a user’s device such as a mobile or PC to be shared with a display using a wireless connection such as WiDi or Miracast. 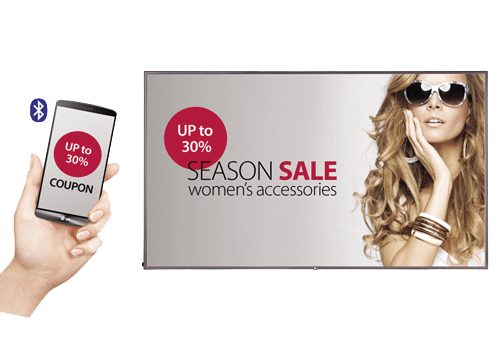 Use this device with embed signage to maximise the features of the unit for Digital Signage. 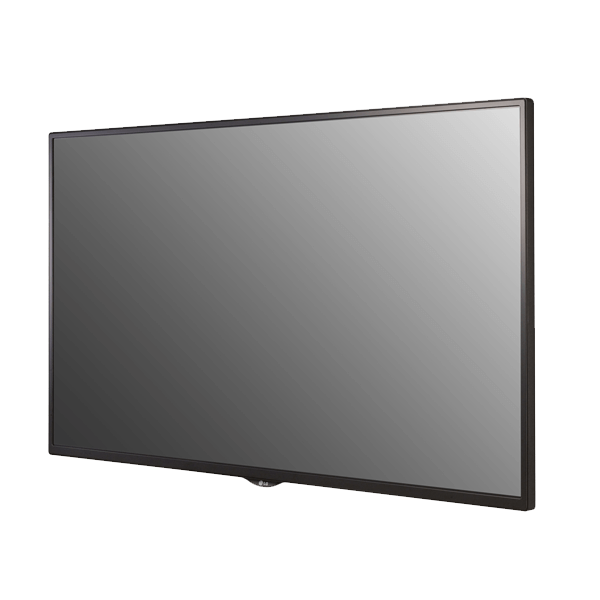 See how to set up an LG SM5KD series display to run embed signage here.